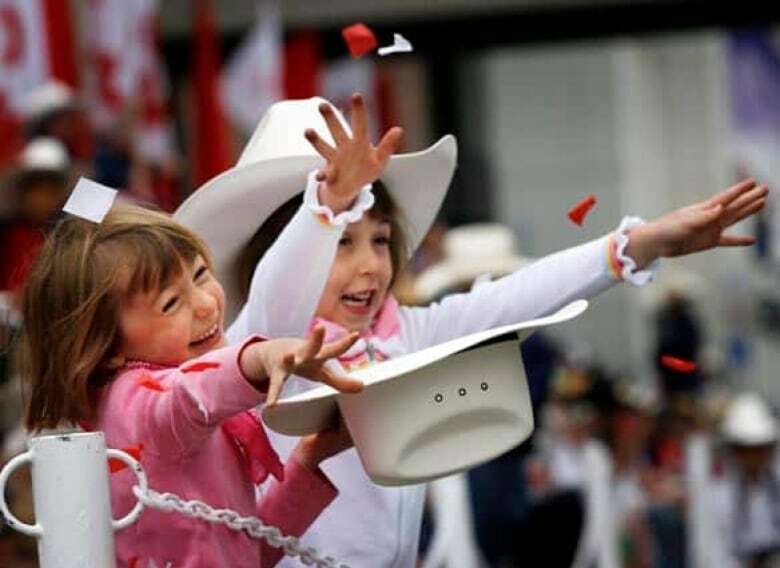 More than 300,000 people — and about the same number of cowboy hats — lined the streets of Calgary to catch the Stampede parade on Friday. The parade marks the official start of the 96th Calgary Stampede, billed as the greatest outdoor show on earth. The 10-day event celebrates the cowboy way of life. 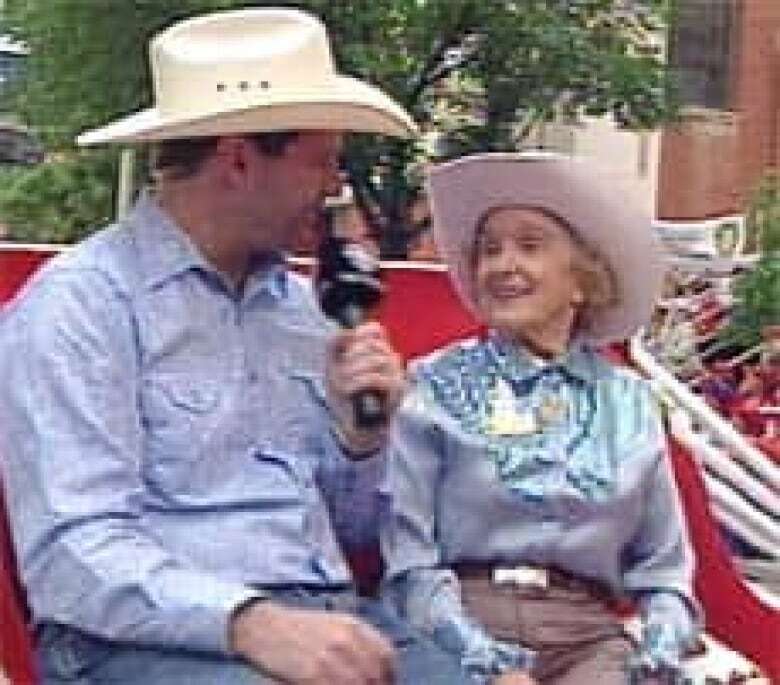 Patsy Rodgers, 82, and the Calgary Stampede's first queen in 1946, led the procession as this year's parade marshal. The sky was overcast but the rain was holding off as Calgary residents sat shoulder to shoulder with visitors from around the world to take in colourful marching bands, floats and horses. Others peered down from the windows of downtown office towers. Some people were out at 5:30 a.m. — more than three hours before the parade began — to ensure they got the best view. The parade was able to stick to its regular route down 6th Avenue, which reopened after being shut down since last August for construction of the 59-storey Bow building, headquarters for energy company EnCana. The Stampede draws about 100,000 people a day to its grounds for the daily rodeo competition and midway.